Train G7042 will not stop at Baohuashan. This train will now additionally call at Zhenjiang (arr 08:56, dep 08:58). Train G7122 will not stop at Danyang. This train will now additionally call at Baohuashan (arr 07:45, dep 07:47). Times of departure and arrival for this train at Zhenjiang will be: arr 07:30, dep 07:32. Train G7124 will not stop at Kunshan South. This train will now additionally call at Danyang (arr 07:44, dep 07:45). Train G7129 will not stop at Danyang. This train will now additionally call at Zhenjiang (arr 08:34, dep 08:36). 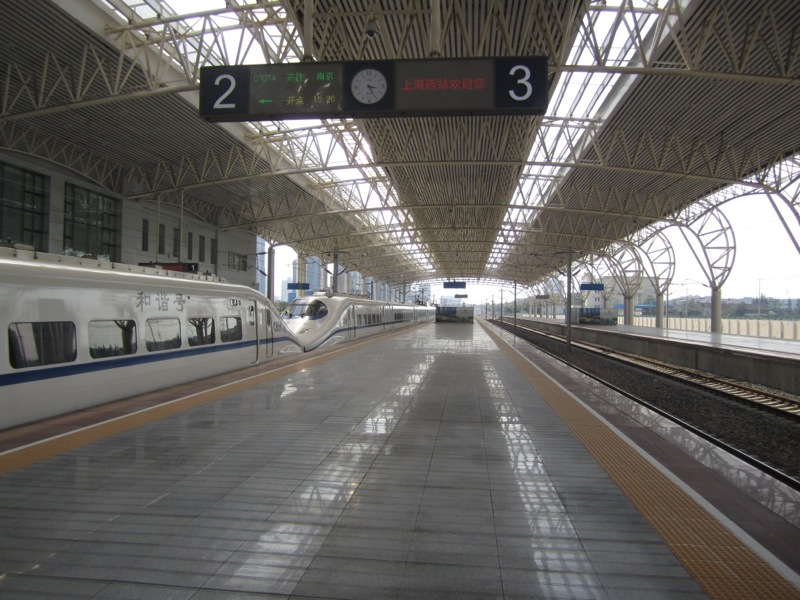 On 3, 5, 10, 12, and 17 November 2011, Trains L206/L207 will run from Nanjing West to Ürumqi. On 6, 8, 13, 15, and 20 November 2011, Trains L208/L205 will run from Ürumqi to Nanjing West. Trains L206/L207 will leave Nanjing West at 08:00. It will call at Nanjing, Bengbu, Xuzhou, Shangqiu, Zhengzhou, Luoyang, Sanmenxia West, Xi’an, Baoji, Tianshui, Lanzhou, Wuwei, Zhangye, Jiayuguan, Liuyuan, Hami, Shanshan, and Turpan. The train will arrive at Ürumqi at 23:05. Trains L208/L205 will leave Ürumqi at 16:30. It will stop at all stations serviced by trains L206/L207. The train will arrive at Nanjing West the next day at 09:28.